HOUSTON - The wet weather continues Tuesday for the Houston area. The forecast includes a 20 percent chance of showers, according to meteorologist Britta Merwin. 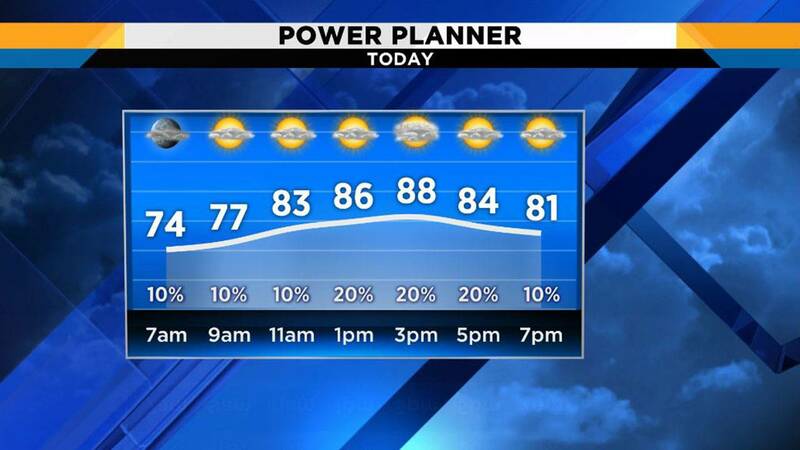 Otherwise look for mostly cloudy skies and temperatures in the upper 80s. Rain chances hold in the 20 percent range through the week and increase to about 30 percent by the weekend. Temperatures will hover in the upper 80s during the day and middle 70s at night.